Time hierarchies, arising as a result of interactions between system’s components, represent a ubiquitous property of dynamical biological systems. In addition, biological systems have been attributed switch-like properties modulating the response to various stimuli across different organisms and environmental conditions. Therefore, establishing the interplay between these features of system dynamics renders itself a challenging question of practical interest in biology. Existing methods are suitable for systems with one stable steady state employed as a well-defined reference. In such systems, the characterization of the time hierarchies has already been used for determining the components that contribute to the dynamics of biological systems. However, the application of these methods to bistable nonlinear systems is impeded due to their inherent dependence on the reference state, which in this case is no longer unique. Here, we extend the applicability of the reference-state analysis by proposing, analyzing, and applying a novel method, which allows investigation of the time hierarchies in systems exhibiting bistability. The proposed method is in turn used in identifying the components, other than reactions, which determine the systemic dynamical properties. We demonstrate that in biological systems of varying levels of complexity and spanning different biological levels, the method can be effectively employed for model simplification while ensuring preservation of qualitative dynamical properties (i.e., bistability). 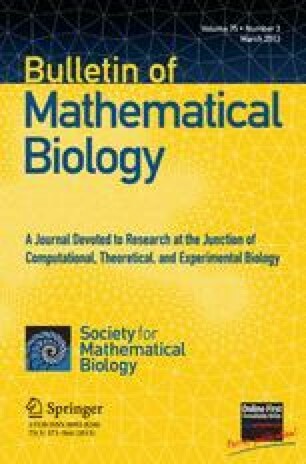 Finally, by establishing a connection between techniques from nonlinear dynamics and multivariate statistics, the proposed approach provides the basis for extending reference-based analysis to bistable systems. The online version of this article (doi: 10.1007/s11538-013-9807-8) contains supplementary material, which is available to authorized users. A.Z., Z.N., and A.K. are financially supported by the GoFORSYS Project No. 0313924 funded by the German Federal Ministry of Science and Education. Feinberg, M., & Ellison, P. (2000). The chemical reaction network toolbox. www.chbmeng.ohio-state.edu/~feinberg/crnt, version 1.1a. Accessed October 2007.